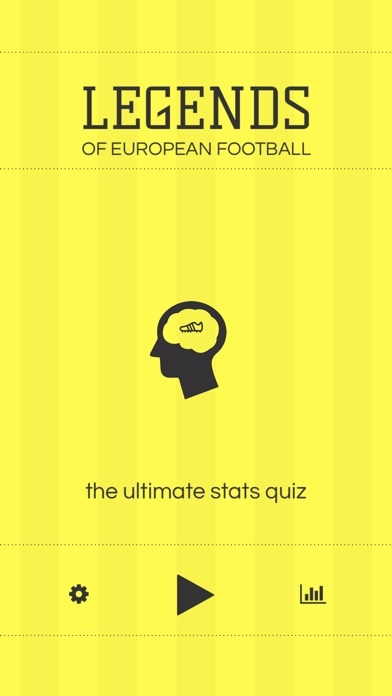 Legends: Ultimate Stats Quiz app: insight & download. Have fun demonstrating your knowledge of famous footballers. Ask your friends what their best score is! Legends of European Football: Ultimate Stats Challenge is the best way to show your friends that you have the best football knowledge of all. The categories cover the Euros, International teams and Club sides from the most popular leagues in Europe. Now you can put all the stats you know to good use! 22 March 2019 : Free! 5 June 2016 : Free!